Whether a hurricane has struck the coast somewhere in the south, there are tornados tearing through the midwest, or there are fires burning out west, natural disasters are on the rise. The impact of these incidents can be hazardous, and in the aftermath, there is an extensive amount of clean-up involved. Beyond damaging public structures and city infrastructure, the destruction these natural disasters bring can be dangerous on individual properties as well. The effects can pose serious health issues and possibly even result in death. There are many hazards homeowners and volunteers need to watch out for when tackling these clean-up jobs. 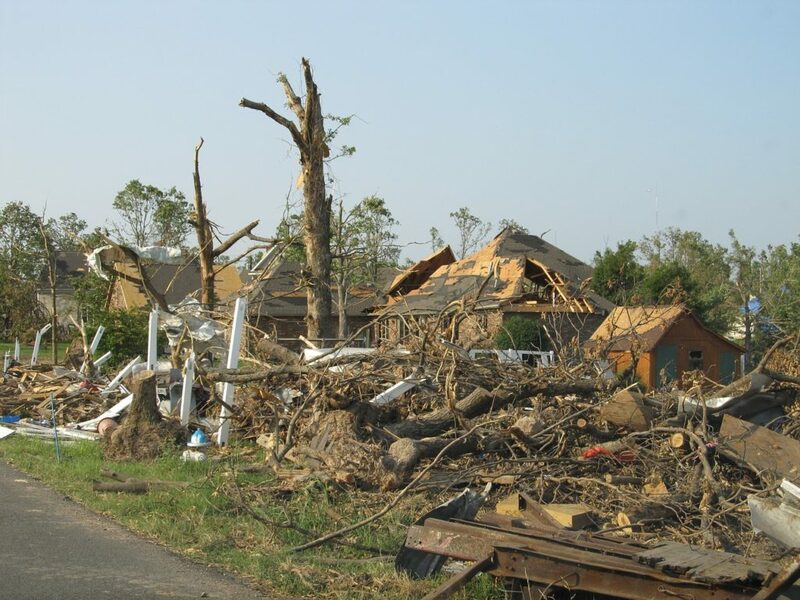 The following precautions and tips can help lessen the danger that comes with cleaning up after a natural disaster. Hurricanes are notorious for the ensuing flooding, which leads to extensive water damage. Homes that have been exposed to flood water or rain that comes in through a damaged roof or window can pose long term respiratory issues. Mold is the primary cause of these respiratory problems, and it can form in the carpet, on the walls, or anywhere else that has had contact with water for an extended period of time. If you are wondering how to get rid of carpet odor from water damage or mold before it becomes a major issue, the best bet is to hire a professional carpet cleaning service. They will not only be able to remove any mold that has begun to form, but they also will be able to get rid of any smells that result from contaminated or stagnant water. It is estimated that over half the injuries that occur when a tornado strikes or an earthquake hits happen after the disaster has occurred. Care needs to be taken when walking through debris because it is fairly easy to step on something that could cause an injury. A prime example would be stepping on old nails that become exposed. These can result in puncturing your foot, getting cut, and at the very least needing a painful tetanus shot. Another major issue after a disaster strikes is stepping on live power lines. While a line that is out in the open is somewhat easy to spot and shouldn’t be too difficult to avoid, a line that is buried under some debris might not be so easily seen. Stepping on one of these lines could easily result in harm as they carry more than enough electricity to cause serious burns and even death. The only way to reduce the danger of stepping on debris is to watch where you are walking when cleaning up. Don’t step on piles of rubble but slowly clear a path for cleaning. If there is a serious injury or the threat of one, let an emergency worker know so that they can take care of the issue. One of the deadliest dangers following a natural disaster is the risk of a gas leak or overexposure to gas. Almost all types of disasters can cause gas lines to spring a leak because of how small a space needs to be for gas to escape. This can lead to fires starting, which will only exacerbate the problem. This is why you need to have the local gas company in right away to make sure that there aren’t any leaks before using and appliances that use gas in the home. In addition to gas connections in the home, the risk of exposure to gas can come from the devices that people use when waiting for the gas to be re-connected. Many homeowners will use generators, portable gas stoves and other heating devices, all of which can cause poisonous gasses to build up. Usually the only signs of overexposure to gas is lightheadedness. If you begin to feel this, make sure that all doors and windows are open to help the gas dissipate. You also should immediately seek medical attention. If a gas detection alarm sounds, immediately get out of your home and call for emergency services. Natural disasters will always happen, and if you ever have to live through one, it is important to be careful when cleaning up afterwards. Making sure to address any water damage, looking where you walk amidst the debris, and ensuring that you are not being exposed to gas are some of the most important ways you can stay safe after a disaster has occurred.